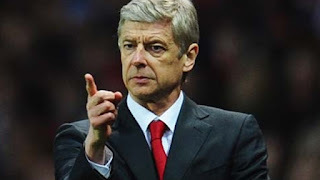 Arsenal manager, Arsene Wenger, has joked that the Premier League will have to let Scottish giants Celtic and Rangers join, before they admit Barcelona to the competition. The Catalan Sports Minister claimed the Spanish league leaders could join the Premier League, if independence for the region lead to their expulsion from La Liga. Wenger said he didn’t think the situation had got “that far,” but admitted it was interesting to see what would happen with such a “political” club. “[But] I don’t think they are as far as that. “It’s an interesting because development, will have incidents on the sporting side as Barcelona is a highly political club. “It is interesting to see how they respond in the championship. We have enough clubs here, 20, if you want to go up to 24, but before we have to welcome the Scottish before we go to the Spanish,” Wenger told the media after their 2-0 win over Brighton on Sunday.